Why is a kind-hearted savant setting fire to an ordinary book? Recuperating firefighter Ivy Beria is determined to find out. But then the young man, Moe, goes missing–and his only friend turns up dead. Ivy is sure the double mystery is linked to the string of numbers Moe chanted before he vanished. She asks her best friend, computer expert Tim Carnelli, to uncover a pattern. They make two shocking discoveries: they have unexpected romantic feelings for one another and Moe is in serious danger. They’d better find him fast. Or the truth–and their dreams–will go up in smoke. 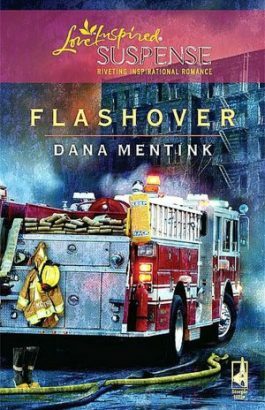 “Flashover is really a great book, it involves firefighters and the danger they are in when they go to fires. Ivy is a female fire fighter that gets hurt but she meets a very cool firefighter that saves her life and they have so many things that happens that is truly is a mystery. If you enjoy a little mystery in your life then you need to read this book, Dana is a great writter of mysteries.